The Marseille Fos port authority has introduced a new fully automated information system, Neptune Port, to simplify and harmonize administrative procedures for vessels calling at the leading French port. Developed at a cost of €3 million, the new system replaces Escale V2 Nautique — in use since 1992 — which in contrast was only partially automated and not entirely paper-free. Neptune Port is linked to the private systems of some 600 users in the port community, allowing them to synchronize declarations. 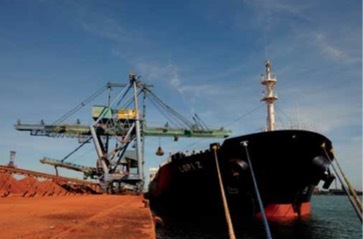 It also provides real time nautical, administrative and logistical data relevant to all calls across the port’s activity range — including container, bulk, cruise, ferry and inland waterways operations — which last year totalled more than 10,400 calls and 78 million tonnes of cargo. As a fully integrated management tool, the system is designed to optimize call durations and enhance coordination throughout the logistics chain. It is linked to other systems such as the port’s vessel traffic service, the AP+ cargo community system and Maritime Affairs. The solution also meets a European Union directive enabling electronic declarations under the so-called Guichet Unique Portuaire. Neptune Port was developed over three years and more than 8,000 man/days in conjunction with French multinational technology specialist Capgemini. The system’s Service Oriented Architecture (SOA) ensures that it is robust, highly available, intuitive and fast while allowing new functionalities and total compatibility among users. The port authority organized a training support programme to assist rapid take-up and has now implemented a telephone helpline. A users club will be launched in early 2016 to exchange ideas on future enhancements. The operator of the South Ro-Ro Terminal in Marseille has won the Port Terminal 2015 prize in the annual awards scheme run by France’s Bureau de Promotion du Shortsea Shipping. Marseille Manutention received the trophy in Paris following a unanimous decision by a panel of judges representing shipping and intermodal leaders. The citation recognized performance levels under a strategic plan launched in July 2014 and the key addition of a recently introduced Terminal Operating System (TOS). The competitiveness plan prompted initiatives covering internal restructuring, stevedore recruitment, equipment renewal, commercial policy and marketing. In 2015 this was underlined by investment in the TOS, which was fully activated in November after a ten-month test phase. Linked to the port’s AP+ cargo system, the new information platform connects the terminal, shipping lines, shippers, forwarders, logistics operators, customs and harbour masters to support real time automated data exchange ranging from port procedures to loading/unloading status reports and the location and condition of cargo.